Working in projects is an important part of many jobs in service industry. Due to their knowledge and experience project planning is often accomplished by older employees. Therefore, and with regard to the demographic change an integration of the needs of older employees into the work environment is required. Common to most IT-based systems, including project management software, is the use of icons. To investigate different icon sets in project management software, regarding age related differences, two studies were conducted. The first study aimed at investigating two different icon sets regarding execution times and eye movements in an applied setting. 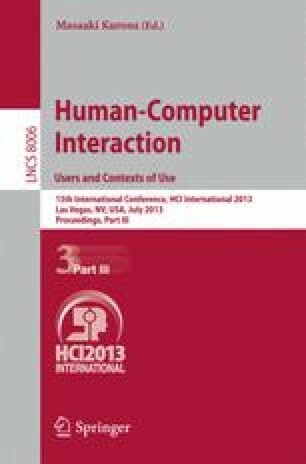 The second study consisted of a questionnaire where subjects had to map different icons to their corresponding functions and had to compare these icons regarding their intuitiveness. Results revealed that older users profit from an icon design which is low in complexity but no impact by different icon designs was found for younger users.